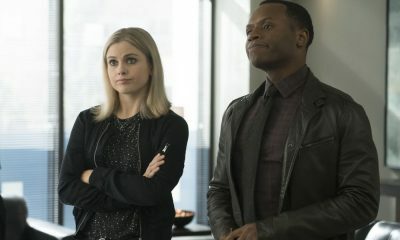 iZombie — “You’ve Got to Hide Your Liv Away” — Image Number: ZMB412b_0057b.jpg — Pictured: Rose McIver as Liv — Photo Credit: Katie Yu/The CW — ÃÂ© 2018 The CW Network, LLC. All Rights Reserved. “You’ve Got to Hide Your Liv Away” RAVI AND CLIVE WORK TOGETHER — Ravi (Rahul Kohli) and Clive (Malcolm Goodwin) work together to solve a case. 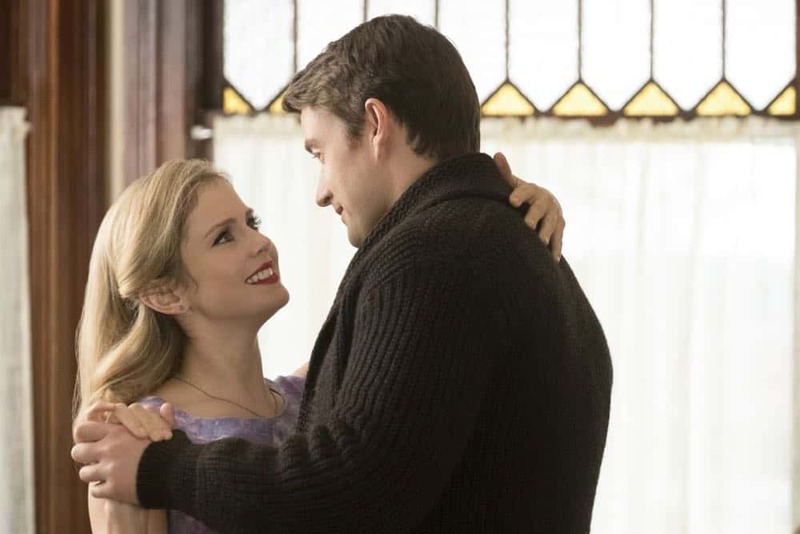 Meanwhile, Major (Robert Buckley) pulls a surprising move on Liv (Rose McIver). 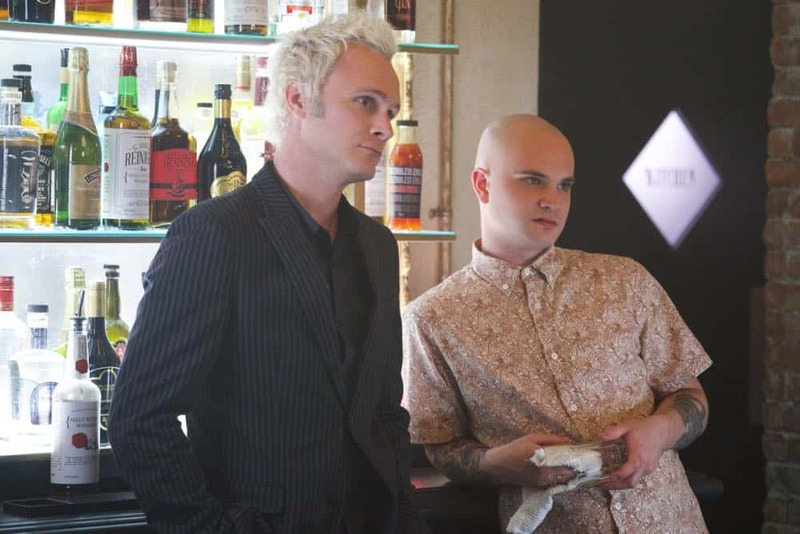 David Anders, Aly Michalka and Robert Knepper also star. Jason Bloom directed the episode written by Diane Ruggiero-Wright & John Bellina (#412). 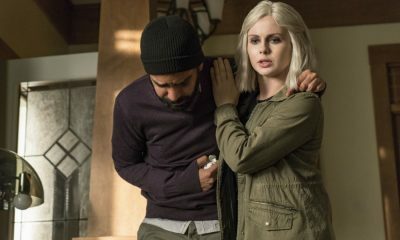 Original airdate 5/21/2018.IZOMBIE Season 4 Episode 12 Photos You’ve Got To Hide Your Liv Away. 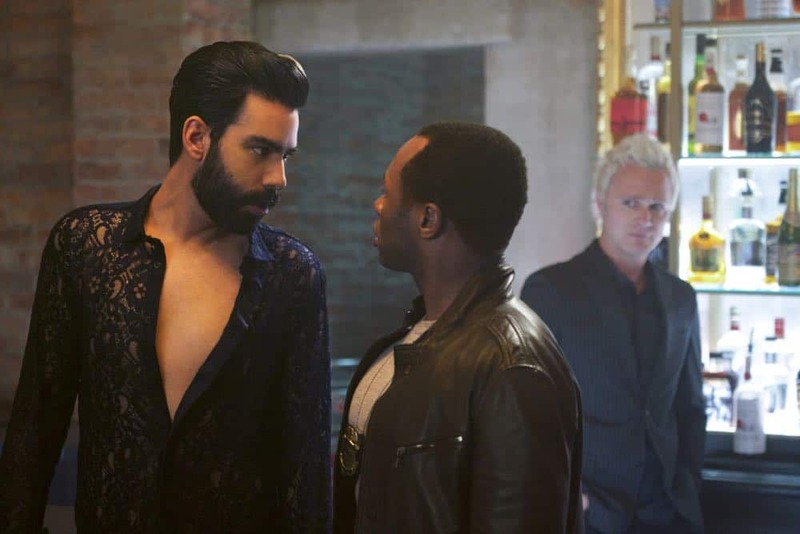 iZombie — “You’ve Got to Hide Your Liv Away” — Image Number: ZMB412a_0117b.jpg — Pictured (L-R): Rahul Kohli as Ravi, Malcolm Goodwin as Clive, and David Anders as Blaine — Photo Credit: Shane Harvey/The CW — ÃÂ© 2018 The CW Network, LLC. All Rights Reserved. 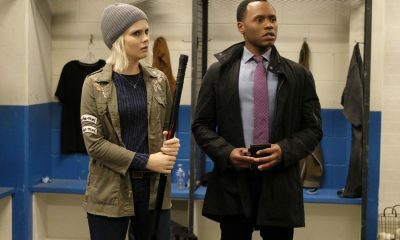 iZombie — “You’ve Got to Hide Your Liv Away” — Image Number: ZMB412a_0242b.jpg — Pictured (L-R): David Anders as Blaine and Bryce Hodgson as Don — Photo Credit: Shane Harvey/The CW — ÃÂ© 2018 The CW Network, LLC. All Rights Reserved. iZombie — “You’ve Got to Hide Your Liv Away” — Image Number: ZMB412b_0170b.jpg — Pictured (L-R): Rose McIver as Liv and Robert Buckley as Major — Photo Credit: Katie Yu/The CW — ÃÂ© 2018 The CW Network, LLC. All Rights Reserved. iZombie — “You’ve Got to Hide Your Liv Away” — Image Number: ZMB412b_0248b.jpg — Pictured (L-R): Robert Buckley as Major and Rose McIver as Liv — Photo Credit: Katie Yu/The CW — ÃÂ© 2018 The CW Network, LLC. All Rights Reserved.